If I were to ask how you viewed your overall well-being, what would your response be? Okay? Normal? Fine? Great? We tend to view things along a continuum such as from abnormal to normal or from good to bad. We also tend to think that the mere absence of something abnormal or bad is a sign that things are alright. For example, the absence of illness is viewed as a sign of health or the absence of mental illness is seen as a sign of mental health. Is this actually the case, though? The World Health Organization defines health as “a state of complete physical, mental and social well-being and not merely the absence of disease or infirmity”. Corey Keyes, the positive sociologist has concluded that the absence of mental illness does not equate to the presence of mental health and that the two are not part of the same continuum. It can be deduced from the above that fixing what’s wrong or just getting rid of the bad doesn’t always result in the best possible outcome when it comes to the human condition. It merely takes us from the state we are in to a ‘neutral’ state. But what if we had the ability to go even farther, to go north of a neutral state? 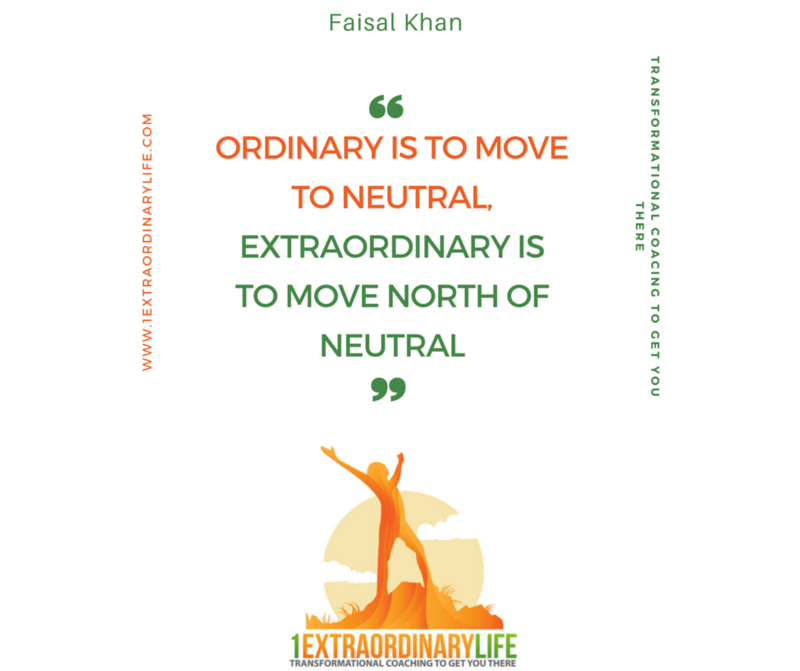 What takes us from neutral to north of neutral requires a different set of actions and behaviors, most of which are as accessible to us as the food in our fridge. Elevating oneself from an ordinary, or neutral, state to an extraordinary one requires one to tap into their talents and abilities. It takes one getting back in touch with their passions in life and discovering what makes life worth living. It requires one to draw from their own strengths and character traits such as perseverance, humor, patience, creativity, grit, etc. It involves the use of all of the above across multiple domains of one’s life – self, family, community and work. This is what leads to the good life, not just a life of ‘being’ but rather a life of well-being and one of happiness. 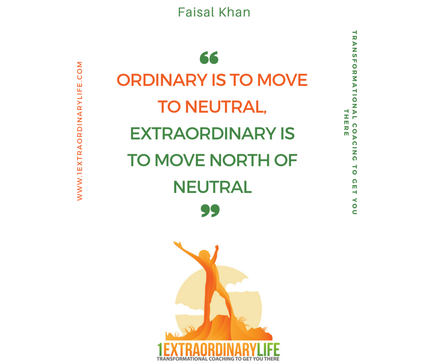 Moving north of neutral and becoming extraordinary also involves having a sense of purpose in life. Being able to see oneself connected to something larger than their own self - whether it be religion, charity, community involvement, etc. - results in fulfillment and an increased sense of well-being and happiness. Through science-based interventions and methodologies, Positive Psychology – the science of human flourishing – helps individuals reach a north-of-neutral state in life. Focusing on what’s wrong in addition to what’s right and discovering what’s best for you helps to build a life of flourishing. If you would like to move to a state that’s north of neutral and unleash the possibilities that a life of flourishing has in store for you… if you would like to tap into your inner resources, talents and abilities… if you would like to be able to get back in touch with your passions in life and see yourself connected to your dreams and experience an elevation from ordinary to extraordinary… contact me to set up a free one-on-one session so I can help you get there. Introduction to Positive Psychology, Heffron & Boniwell, pg:8. Expect more posts on how to move yourself to North-of-Neutral in the future. Go Faisal, Go! So happy to see you launch so extraordinarily! Link exchange is nothing else but it is only placing the other person's webpage link on your page at suitable place and other person will also do same in favor of you.